As a Horn Book intern, I’m on the Out of the Box frontlines: I open the boxes and see what’s in them first. 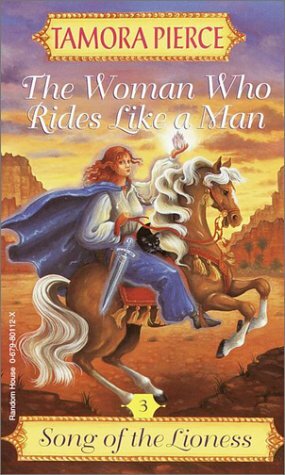 I recently came across the new paperback edition of Tamora Pierce’s The Woman Who Rides like a Man (left), the third book in the Song of the Lioness Quartet (Simon and Schuster, April). As a fan of the series, I was taken aback by the new cover, which features a photographed Alanna, the protagonist of the series, with magenta-dyed hair, in modern clothes and makeup, and flanked by two teenage boys. The Alanna I picture is a combination of my own imagination and Joyce Patti’s softly illustrated cover portraying a ginger-haired heroine (1997 Random House edition, right). 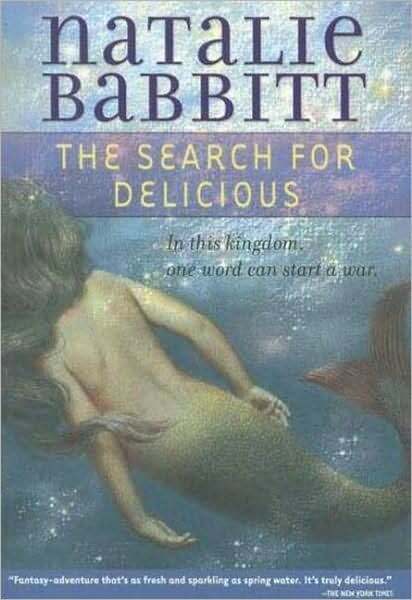 My discomfort with this new edition lies not in the decision to change the cover image, but with my worry that the new art does not accurately represent the story to a new generation of readers. If I were unfamiliar with the plot—about newly knighted Alanna’s journey to Tortall’s desert and her capture and acceptance by the Bloody Hawk tribe—I would guess from the new cover that it‘s about a contemporary teenage girl who has a magic pendant and is caught in a love triangle a lá Twilight. and some of which I have not (any post-Trina Schart Hyman editions of Patricia C. Wrede’s The Enchanted Forest Chronicles). Which original cover art do you think shouldn’t be tampered with? Which new covers are welcome updates? >Ugh. I really loved Alanna as a kid, and I'm so disappointed that the new cover design drops her talking cat, Faithful, and a full shot of her fabled sword, for two teens with Biebercuts and guyliner. Such a fail. I recently was disappointed to see the paperback cover of "The Forest of Hands and Teeth" and it's all, BLACK EYELINER, FEELINGS, BANGS STYLISHLY COVERING ONE EYE, AS I LOOK OUT FROM THESE TREE BRANCHES FOR MY NEW MYSPACE PHOTO. 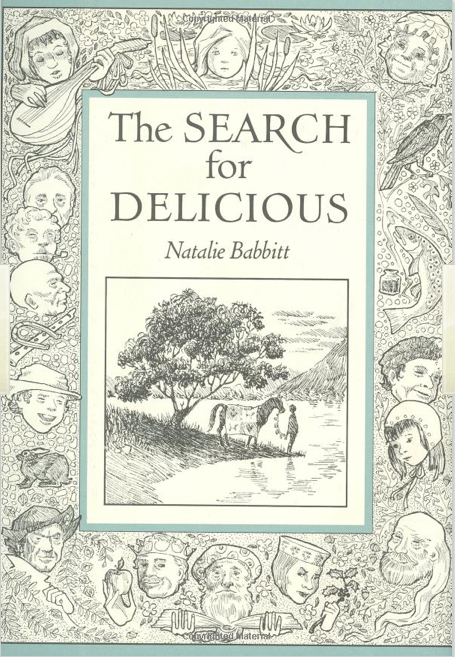 The first one was so much better, with the plain-faced girl standing alone in the middle of a creepy forest. It's set in a post-zombie apocalypse, who has time to cake on the eyeliner and take myspace photos? >I just read Hilary McKay's The Exiles for the first time–my edition (which I bought from Amazon) had some kind of UGLY illustrated cover from Maxwell Macmillan of four disembodied heads floating over a subdivision. McKay's website shows a modern, breezy cartoon cover, probably also a reissue. I just have to imagine that the original cover wasn't as ugly as the one I have! Also: The Casson Family books (Saffy, Caddy, Indigo, Permanent Rose) have new covers on McKay's website, but I liked the original covers much better. >Visiting the children and YA sections in the local library and bookstore, I had the same reaction, but then I noticed a young girl go straight for the book cover make-overs! I guess the question is not what I prefer but what will draw young readers to well-written books? Hopefully, book publishers enlist feedback from the readers they most aim to gain. >I'm not actually familiar with any of these titles, but based on your description of Tamora Pierce's work, I can absolutely see where you'd have a worry. 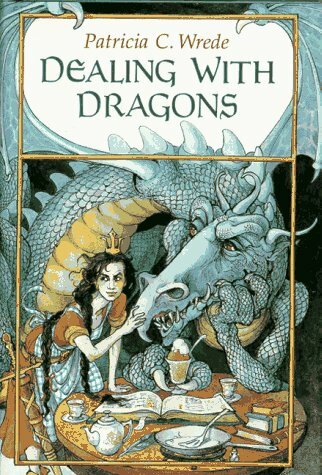 I've no real opinion on "The Search for Delicious," but there seems to be a gorgeous sense of humor in Trina Schart Hyman's cover of "Dealing With Dragons" that seems lacking in the latter version. Also, you've totally convinced me that I need to check out Pierce's work. Thanks; I'm always looking for new reads. >As a Tamora Pierce fan, I am almost as sad to see this cover as a I was when I discovered the section heading in the YA section of Barnes and Noble that read "Paranormal Teen Romance". >Horrid, just horrid. The only good to come of it is to pick up some new fans for the series by default. The best cover remakes in recent memory are the Megan Whalen Turner updates to Thief and Queen of Attolia when King of Attolia was published. The books circulate much better in my middle school with the new gorgeous covers. I'm still waiting for a good cover for McKay's Exiles series. >I agree about the Pierce covers–I didn't like the new covers for her Immortals quartet either. 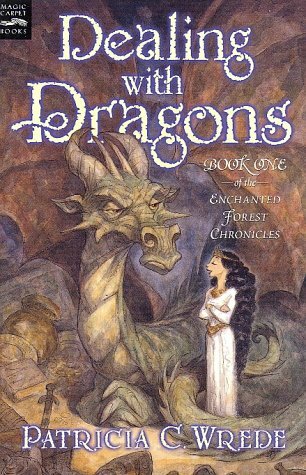 I have only ever seen the Trina Schart Hyman covers for Enchanted Forest Chronicles on the hardcover edition–were they ever used for the paperbacks? >C. Cackley, I don't think the Trina Schart Hyman ones were ever used for paperback editions which I think is a shame. Also, I think The Poetry Editor makes a good point, although I can't say one way or the other if the new Alanna covers are successful at drawing in new readers. I haven't read many of the books you all have mentioned, so I think I have the rest of my summer reading planned out!